The trend in Hawaii's appellate courts has been to expand the scope and applicability of Hawaii's environmental laws. The courts have rarely deferred to agency expertise and discretion. In Umberger v. Department of Land and Natural Resources ("DLNR"), the Hawaii Intermediate Court of Appeals defined the outer-limits of Hawaii's environmental impact statement law, commonly referred to as the Hawaii Environmental Policy Act ("HEPA"). 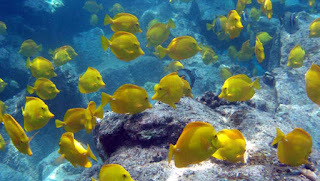 [W]hether a particular Hawaii statute, HEPA, is intended to apply so that each applicant for an aquarium fish permit must, at a minimum, prepare an EA [environmental assessment]—as well as engage in the related process of consultation, information gathering, and public review and comment—and DLNR must, with each application, undertake a HEPA review prior to issuing an aquarium fish permit. We conclude that to interpret "program or project" so sweepingly as to require individual aquarium fish permit applicants to undertake the EA process is not a "rational, sensible and practicable interpretation" of HEPA and would create an unreasonable, impractical, and absurd result. Accordingly, we hold that aquarium collection under an aquarium fish permit issued by DLNR pursuant to HRS § 188-31 is not an "applicant action" under HEPA. 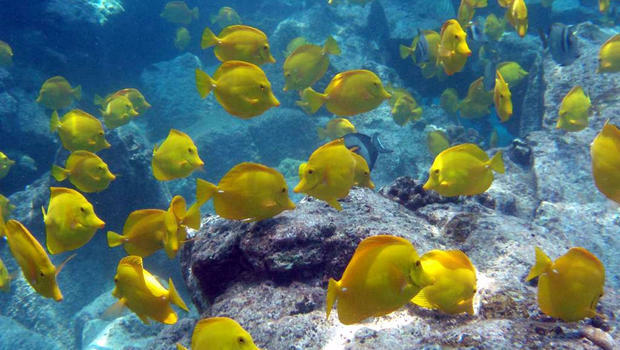 Although not essential to its decision, the Court provided a rare statement of agency deference when it stated that, "There is no question that the DLNR shares Appellants' concerns about the health of Hawaii's reefs and its marine inhabitants and seeks to appropriately manage and administer the aquatic life and aquatic resources of the State in accordance with all applicable laws." The U.S. Supreme Court recognized that judicial deference to agency expertise is one of the most important principals in administrative law, due in part to an agency's intense familiarity with the history and purposes of the legislation at issue and their practical knowledge of what will best effectuate those purposes. Read the entire opinion at https://scholar.google.com/scholar_case?case=9667698222799409226.